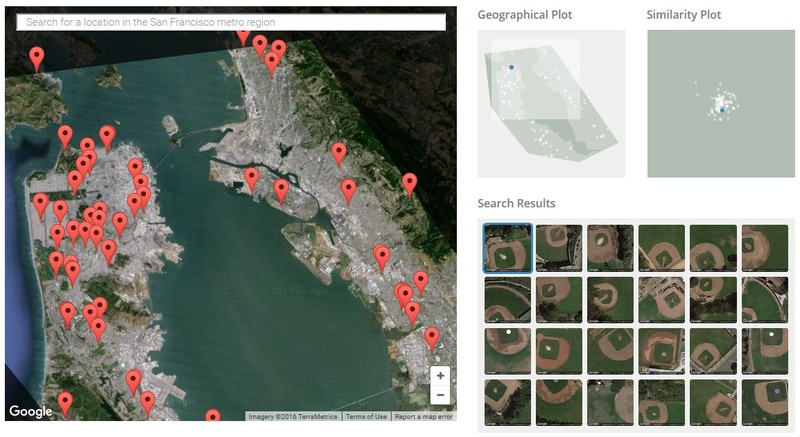 A new project by Carnegie Mellon University researchers provides journalists, citizen scientists, and other researchers with the ability to quickly scan large geographical regions for specific visual features. Simply click on a feature in the satellite imagery – a baseball diamond, cul-de-sac, tennis court – and Terrapattern will find other things that look similar in the area and pinpoint them on the map. Using a deep learning neural network trained for five days on an NVIDIA GeForce GPU, their model will look at small squares of the landscape and, comparing those patterns to a huge database of tagged map features from OpenStreetMap, it learned to associate them with certain concepts. Currently, Terrapattern is limited to Pittsburgh, San Francisco, New York City and Detroit, but access to more cities is coming soon.